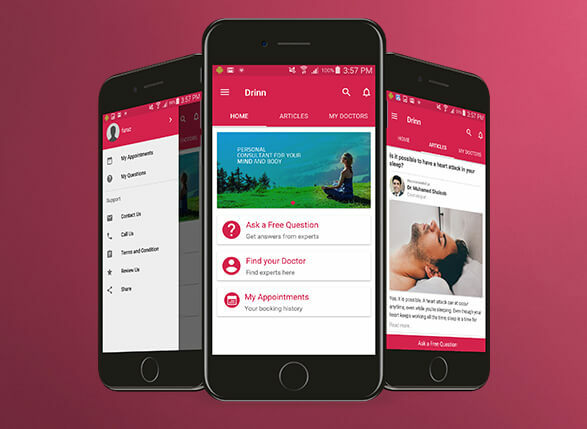 Mindster is a top-notch Mobile Application Development Company in India with a wealth of experience and extensive expertise across all industry verticals. Mobile App Development has now transformed the business processes and communication with the customers and is now reformulating the way people and technology interact with each other. Now for businesses right from the startups to enterprises, the only key to success is to embrace mobile app strategy to provide solutions to user needs and bring a competitive edge to businesses. Here at Mindster, we create a mobile app that delivers high performance and smart services to the specific needs of our clients. Whether you need a mobile app development solution for your iPhone, iPad or Android our team of experts can help you with their deep industry knowledge. Our passion in technology enable us become the top mobile app development agency, help gain excellence, and thereby maximize profit. 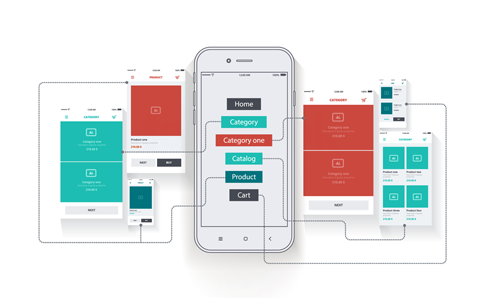 Selecting the right client architecture is the first step towards developing a mobile app. 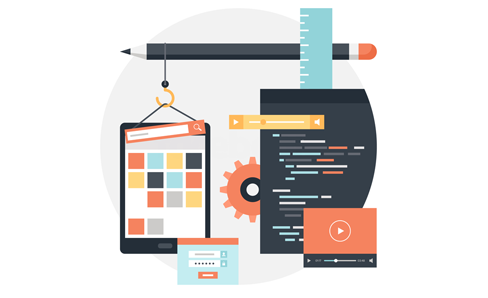 As a mobile app development company, we help in selecting the right client architecture among Mobile web app, native app and hybrid app approaches taking into consideration several unique aspects like sporadic connectivity, device form factor, variable bandwidth, user experience and multi-platform support. As a top mobile application development company in India, Mindster helps you consider the mobile possibilities for your business and make you understand how a mobile solution will correctly fit your business model and delivers all the desired functionality. Our unique mobile strategy drives ROI for our clients, which help us to stand out from many mobile app development companies all over the world. 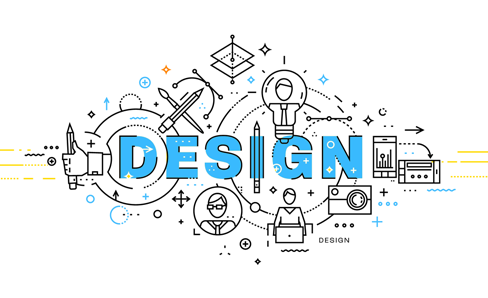 Mindster being a mobile app design company designs any kind of mobile experience to solve various problems. The success of mobile app development is dependent on a combination of numerous features of which User Experience is the key. The apps, which have become world class until now are only the ones that have great UX. The best mobile design is the only way of creating best UX. 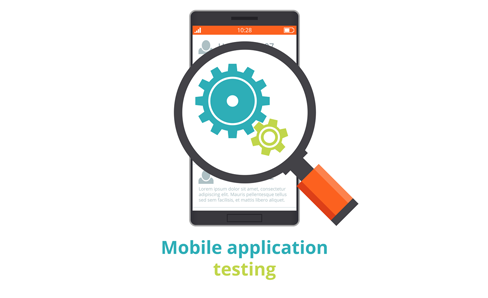 Mobile apps are intended to support different mobile network and backend services over a broad range of network conditions. We have a keen focus on performance testing which ensures you optimal performance experience. Application quality and user experience are complex in the mobility ecosystem; content, smartphones, user segments, form factors, bandwidth, network and more. A single database with vertical scaling strategy is advisable for startups as it can take the startups well beyond the MVP stage to millions of users. However if additional time and budget is available we implement the shared DB architecture which can scale to the million users. Deployment architecture focuses on responsiveness, scalability and security. Perhaps every mobile application requires integration to multiple backend systems, Ecommerce platforms, ERP, CRM, messaging services, reporting services, payment gateways and more. We have deep knowledge in integration with several platforms through standard web services or SDK. We also develop middleware platforms to connect to non-mobile channels via third party services. Our development team has the best java developers who build robust and scalable app with clean code. We have experience in delivering numerous android apps that looks elegant on any Android screen resolution, feature-rich and best UX designed not only for latest devices but also compatible with older OS versions. We build iOS applications with native approach, leveraging C, Swift technologies and Objective C, to draw out the best for our customers' iPhone, iPad and Apple Watch applications. 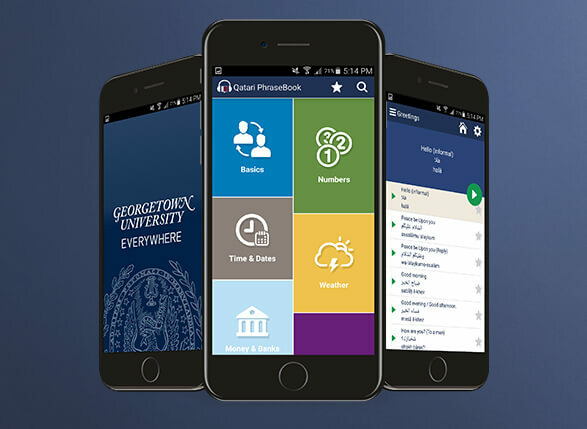 We have delivered fruitful apps with pixel-perfect designs, powerful functionalities, and UX customized for specific needs and target audience. With the advancement in technology, cross platform is becoming a new approach for mobile app development. Our team has designed and developed visually appealing apps with distinct functionalities on multiple platform with lesser time and cost. Enterprise mobile apps emphasizes frictionless information access through spellbound UX that is guided by high grade security. Applications must be easy to use with dashboards and push notification. 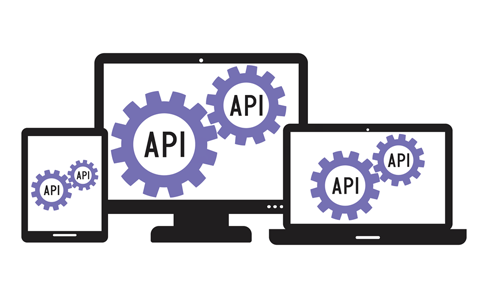 APIs are additionally developed that are capable of incorporating corporate and non-corporate administrations. Why Choose Mindster as your Mobile App Development Partner? We believe in the quality of mobile apps we build and continuously invest in building infrastructure that allows you to serve your customer’s needs. This is achieved with latest hardware, state-of- the-art project collaboration system, professional excellence and more. We, at Mindster, build user-friendly mobile apps that tends to attract more users towards your app and ultimately more downloads. Having 10+ years of experience, our team has developed Native and hybrid mobile apps for Startups, enterprises and agencies. 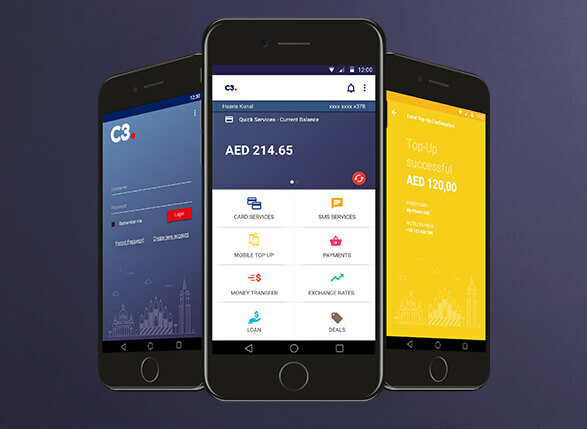 MyC3 Card is a payment wallet app that serves as a leader in the Middle East Region. The prime features of this app includes checking balance, mobile top-up, utility bill payments, transfer of money and viewing of transaction history. 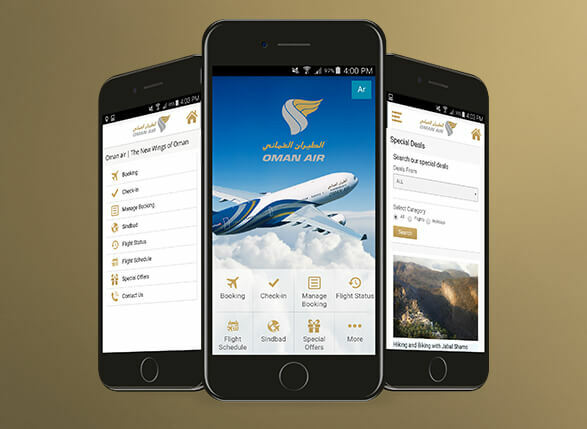 Oman Air Mobile App enables the user to perform various functions using certain simple steps which are flight booking, get flight status, check-in, schedule of flight and other information. Drinn is a combined health care platform for cardiac patients that helps to get authentic, suitable and timely access to cardiac health care across the world. It also reduces the overall cost by enhancing the eﬀiciency of medical systems and practitioners. 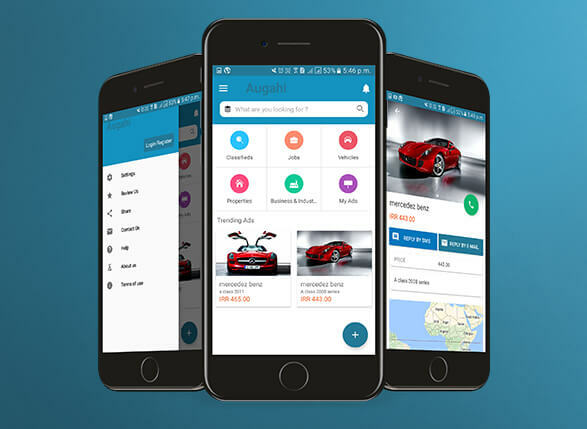 Augahi is a classified mobile app available in English, Arabic and Farsi languages. It helps the public users to post new Ads and they can also view the Advertisements posted by other users. 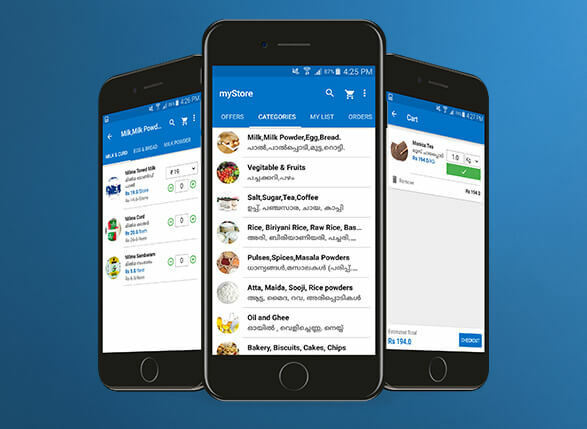 MyStore App helps the users to quickly select their day to day items from a list of categories and choose their preferred location for delivery. The users have the option to add or delete items in their shopping cart. 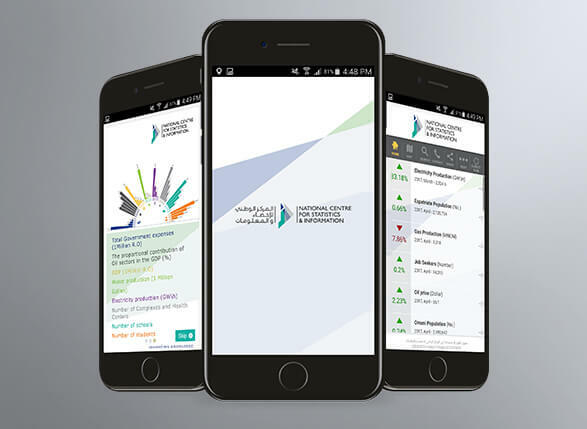 National Centre for Statistics and Information (NCSI) App is one of the most trusted, credible and independent national statistical information organization of Oman. The features of the app include Add/Edit/Delete Indicators, Graphical representation of figures, post comments, banner promotions etc. 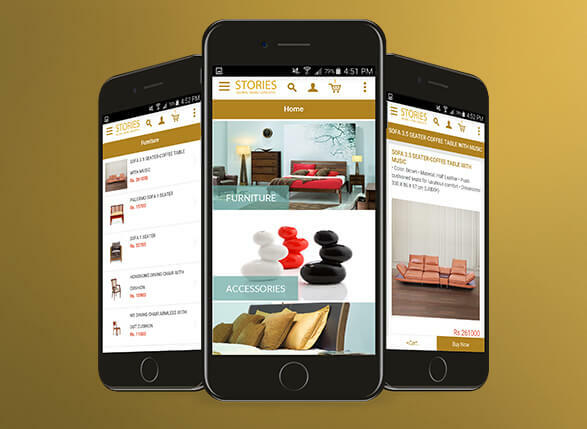 A furniture retail mobile app that is designed exclusively for décor and furniture accessories. We have developed a Magento based E-commerce Portal along with supporting Mobile Apps in both Android and iOS platforms. Qatari Phrase Book is an easy to use mobile app for all those who wish to learn the language Arabic. The list of essential phrases that can be translated using this app includes category selection, listing phrases, audio pronunciations, search and speed control settings. 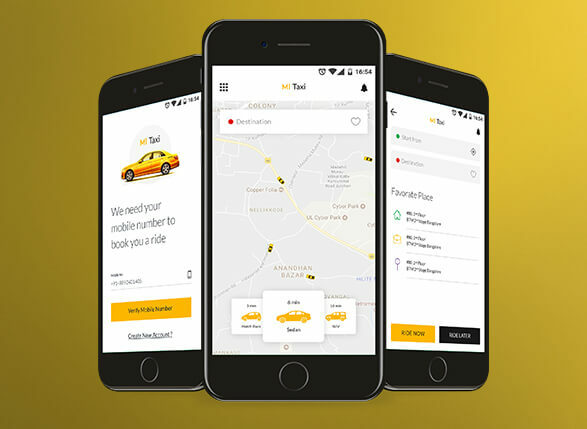 Taxi Booking Mobile App is designed in such a way that the user can easily book the vehicle as per their specifications and the driver reaches the exact location of the user. With the help of this app, the user can travel to their preferred destination hassle free. What is difference between Native App Development & Cross Platform App Development? Cross-platform development technology gives a framework where one source-code can be used to make the multi-platform application; primarily for iOS and Android. With native application development, we utilize default dialect and IDE for the two iOS and Android, i.e. Objective-C/Swift with xCode for iOS and JAVA with Android studio for Android. What stage would it be a good idea for us to target? iOS development /Android development or both? 1. In which demographics you need to dispatch the application first? 2. Which mobile platform are the targeting users using the most? 3. What is your financial plan for getting the app created? In view of the above answers, you can choose which application you want to build first. Our experience tells that the vast majority of the European and American customers get the iOS built first, but in the Asian region customers get the Android app developed first. What will happen to my application with new OS releases in the Android and iOS? Generally iOS and Android deals with the old functions, so your application does not stop working when there is new OS released. 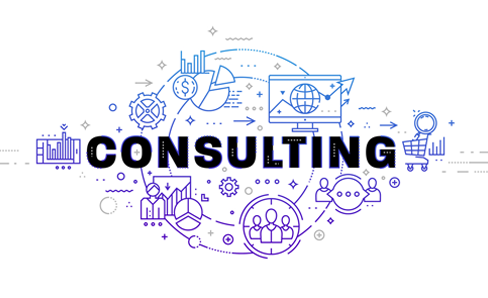 Yet, at the same time your total application or a certain part of the application stopped working then you ought to make the rundown and contact the development company to get them settled. Development Company may the need to settle the specific issue or need to recode the particular part; as that is totally dependent on how profoundly new OS influence the old application. How might you make my mobile application development successful? To make your app a success - you should need to survey again with what purpose you got the application created?, Do you have strong promoting strategies for the customers you are focusing on?, Do you have enough funding to deal with the strong marketing? If you get the answers to the above questions then you can set up the action plan and reach to the end-users. I have my special mobile application development thought - How would I be able to impart it to you to ensure it is secured? At Mindster - we do sign NDA to ensure your idea is secured and not spread anywhere else except for our mobile app development team. I am a non-technical individual who needs to develop an application. How might you help me? Being one of the best mobile app development company, We have worked with numerous non- technical customers in past and we are helping them through every aspect to have the iteam appropriately designed. You can share each drop in your mind to our Techno-Commercial sales representative; they will recommend you from their technical view and even what approach we ought to proceed with; for the best yield. What might be the payment policy? We partition complete project into a couple of milestones; so at whatever point we complete development; we send it for customer approval. On approval of a particular milestone, customer needs to release the payment characterized for that milestone. This way customer don't need to pay enormous amount together. They see the improvement - get fulfilled and pay for that segment. Will I have to test my application completely? We have the testing in-house team and before submitting to the customer we test the things to ensure that everything is upto the mark. In any case, we generally urge our clients to test from their own particular perspective so that when the app goes live they have a full idea of that. Most of the applications are having Admin Panel also which later on manage by customer or their team so we ask them to go through it fully before making the things live. Would I have to discuss with your entire team during the app development? We assign a project manager who will talk with you on behalf of the development team and give all updates and manage it till the project deployment. The project manager will secure all the communication occurred in the middle of you; in the document and send you for your confirmation; on your endorsement; he will pass to the team. Will my site work and look great in all gadgets and all desktop OS? Of course, we will make responsive sites with most recent css3 to ensure it looks great in all desktop browsers along with every mobile phone and OS. Who will own the mobile app source code? Once 100% payment is made, you will be owner of all app source code.